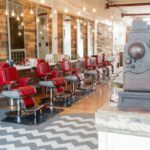 We are bringing Durham it’s own kind of upscale barber shop. Get groomed, relax, have a beer and a conversation. We have an appreciation for the craft of barbering. This is no chop shop. We take our profession seriously.